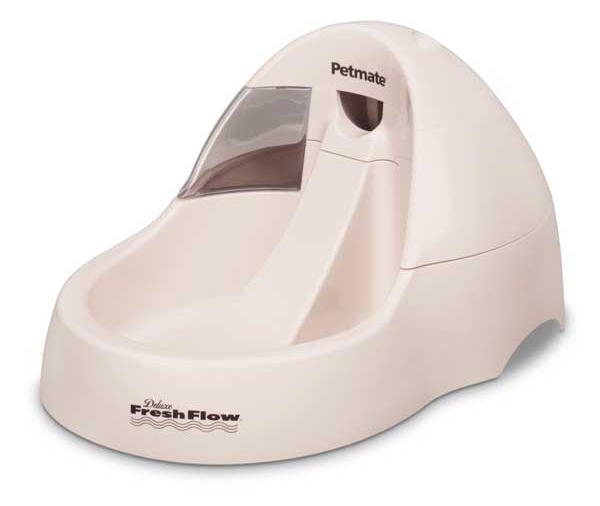 Perfect for multiple cat or dog households that love fresh flowing water, this award-winning fountain features continuous circulating water and a unique, patented no-splash water-slide. 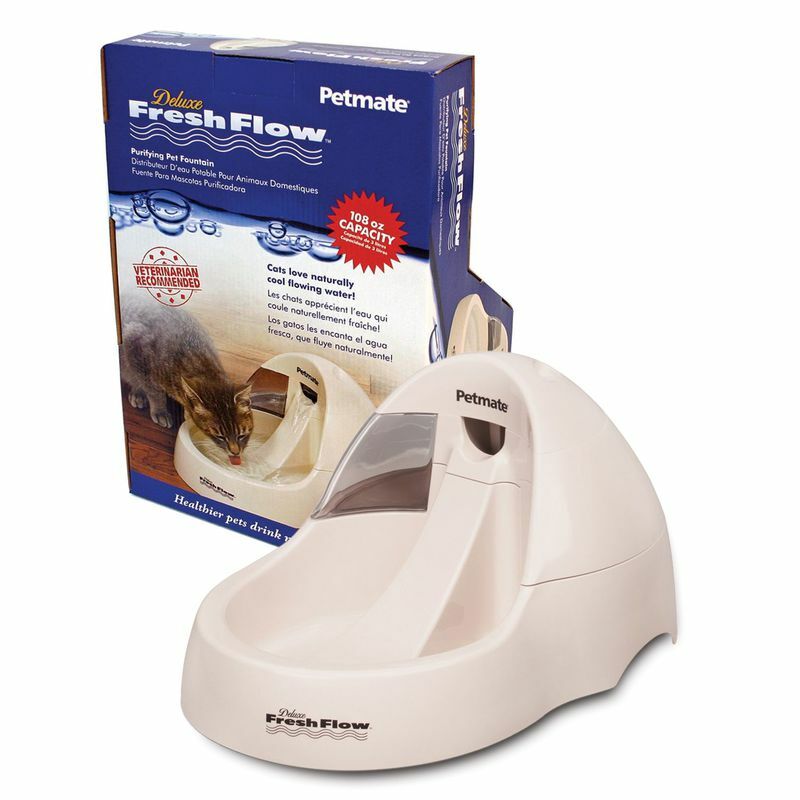 The re-circulating flow and filter provides naturally cool and oxygenated water, attracting pets to drink more in order to help promote their health and well-being. The Deluxe Fresh Flow has a modern design created to blend in with today’s kitchen appliances. Each unit comes with a replaceable charcoal filter. Dimensions: 15.37" x 10.18" x 7"
14.1" x 10.1" x 7.7"